Newport Beach is a city of about 87,000 people in Orange County, California, which borders Los Angeles County to the south and San Diego County to the north. The city, which borders the Pacific Ocean, is known for its natural, scenic beauty, particularly its semi-artificial harbor, which is a hotspot for romantic activities such as dining, beach-going and nature-watching, particularly at night. Newport Beach, California is a good location for romantic dates. Newport Pier, located within Newport Beach's Balboa Peninsula neighborhood, is a registered California historic landmark. The pier, which stretches across more than 1,000 feet, has a restaurant called Newport Pier Grill & Sushi that overlooks the Pacific Ocean and serves sushi and other seafood specialties. The restaurant, with its breathtaking ocean view, can be a quiet romantic date spot on weeknights, but is much busier on weekends. The Balboa Pavilion, which was built in 1906, is another registered California historic landmark. The waterfront pavilion is primarily used today as a marine recreation facility. It features a restaurant on the water with a picturesque, romantic view, and rents out small boats known as skiffs. Couples can also enjoy whale watching, a peaceful, romantic activity, at the pavilion. The Balboa Bay Club & Resort is a luxurious club and resort located on 15 acres in Newport Beach's central area. The BBC, located on Pacific Coast Highway, has an upscale bar, Dukes Place, with specialty cocktails, live jazz and a view of Newport Harbor. The club is also home to First Cabin restaurant, a cruise-liner-style dining room that specializes in steak and seafood, including Seared Chilean Sea Bass and Chateaubriand for Two. The restaurant features live piano music on Friday and Saturday nights. Duffy Electric Boat Co. offers boat rentals for guided and unguided romantic tours of the Newport Beach harbor. Boat sizes vary, from boats for two people up to to half a dozen. The company has 18 rental boats at its Newport Beach operation, many of which are designed for cruising in the harbor at speeds of a few miles an hour. Nero, Mark. 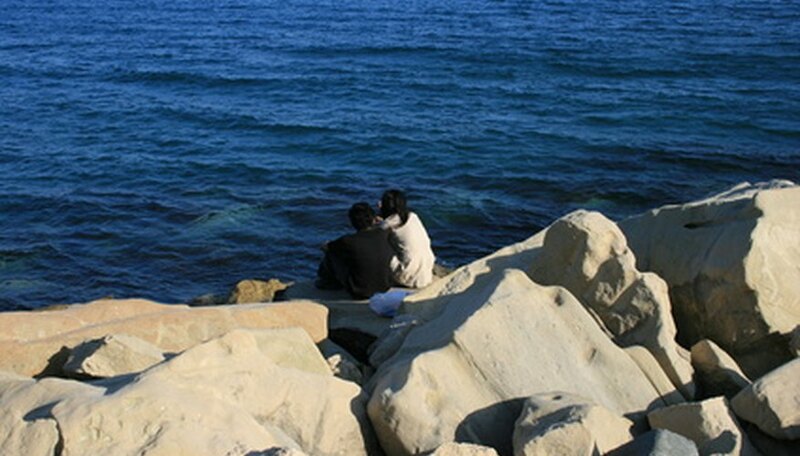 "Newport Beach, California Romantic Date Ideas." Dating Tips - Match.com, https://datingtips.match.com/newport-california-romantic-date-ideas-7907947.html. Accessed 19 April 2019.